Great for new installations or restorations of Decomposed Granite Pathways, Patios, Garden areas and more. 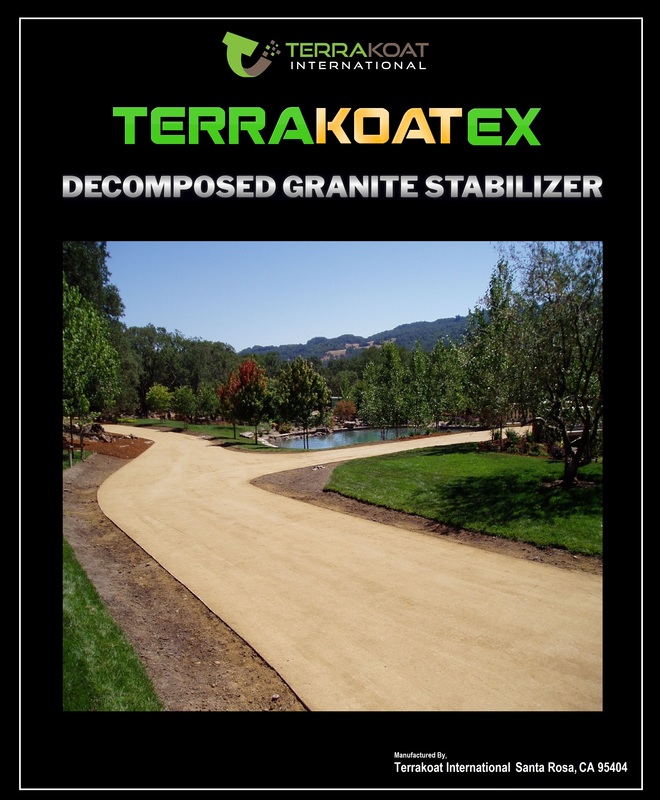 TerraKoat EX Decomposed Granite Stabilizer is a great alternative to traditional paving materials such as asphalt or concrete. When mixed into Decomposed Granite and compacted, TerraKoat EX allows you create a natural ADA compliant paving system that is durable and looks great. 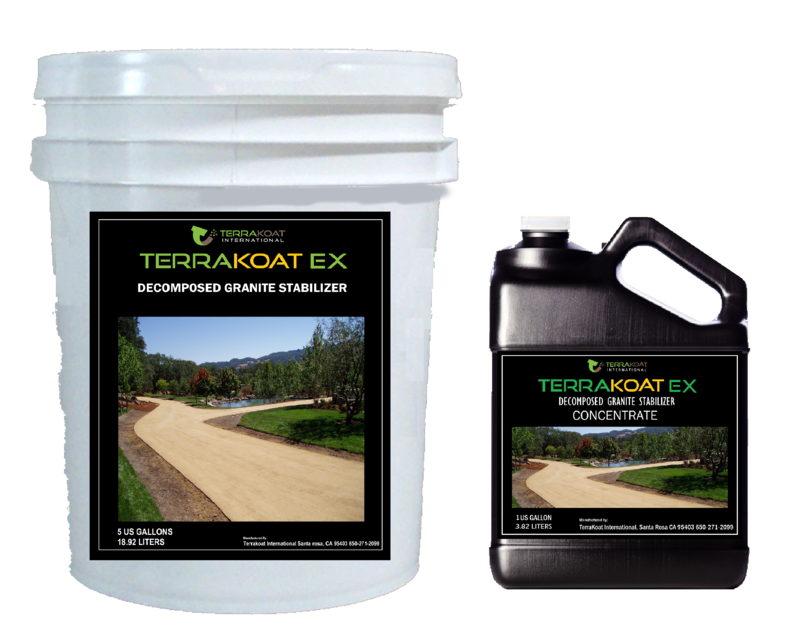 The combination of TerraKoat EX and Decomposed Granite creates a strong reinforced surface that greatly reduces surface erosion. Coverage for a new installation is 15 square feet per gallon using a 2" compacted aggregate thickness. Always double check your measurements. TerraKoat EX is a made to order product and can not be returned. Orders shipping outside the Santa Rosa area will receive TerraKoat EX Concentrate. Be sure to add 4 parts water to 1 part concentrate before use. TerraKoat EX is made to order product therefore all sales are final. 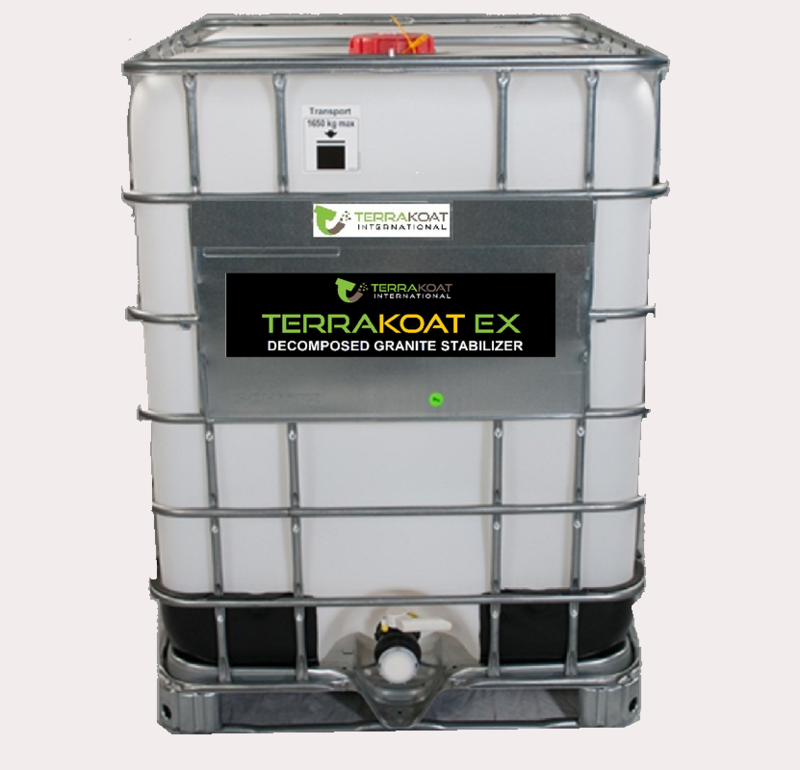 Orders being shipped outside the Santa Rosa area will receive TerraKoat EX Concentrate. Be sure to mix 4 parts water to 1 part concentrate before use. © 2014 2019 TerraKoat International, All rights reserved.